NOTE: This post was originally published in November 2014, but was updated in August 2015 in response to the 2015 Budgets and a visitor comment (see below). It was updated again in November 2015 when the section comparing both products to investment outside a tax shelter was added. Despite its legendary size and complexity (reportedly 11,520 pages and the longest in the world), in practice the UK tax code is quite simple for investors. There are more complex and punitive arrangements for those earning more than £100K pa but they need not detain us here. In addition to income tax, national insurance contributions (NI) are also paid on earned income, with the main rate of 12% paid on earnings between approximately 8K and 42K. NI is not reclaimable. The third main tax is capital gains tax (CGT) on gains over 11K each year. This is paid at 18% for basic rate (20%) income tax payers and at 28% for higher rate (40%) income tax payers. Entrepreneurs pay CGT at 10% on their first million pounds from the sale of their businesses. In addition to these three, there is income tax relief on investments in VCTs and EIS / SEIS schemes. We will look at other tax-efficient investments in later posts, but today’s topic is SIPPs vs ISAs. Which is better, and do you need both? ISAs do not reduce tax on contributions but they grow free of tax2 and income can be taken at any time free of tax. Up to £15K can be invested each year. SIPPs (and pensions in general) receive tax relief (at 20% or 40% as appropriate) on contributions up to £40K or the level of an individual’s salary (whichever is smaller) each year. Thus up to £55K each year can be tax sheltered across a SIPP and an ISA. This is more than enough to generate the retirement incomes we are considering. SIPPs also grow free of tax up to a limit of £1M but income cannot be taken until age 55 and is taxable apart from the first 25% of the pension, which is tax-free. See also: The Workplace ISA - Too Much Choice? 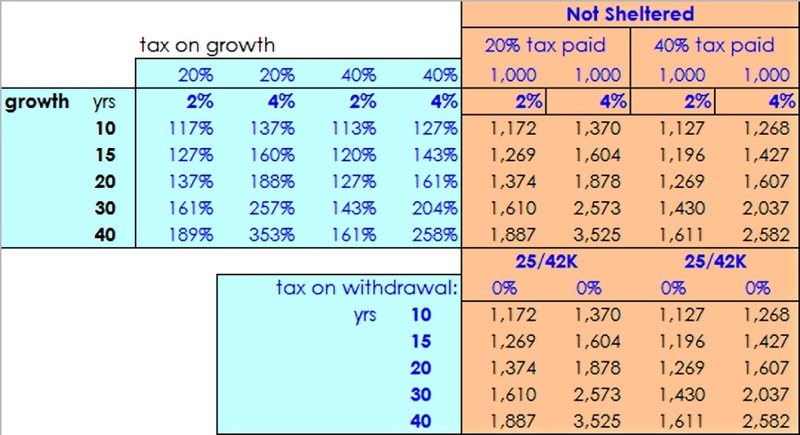 Thus the boost from tax relief within a SIPP (25% for a basic rate taxpayer, 67% for a higher rate tax payer) more than offsets the effective tax rate on withdrawal. For a basic rate tax payer retiring at 55, £1,000 invested in an ISA will become 1,346 under 2% growth, or 1,801 under 4% growth. Withdrawing 42K pa from a SIPP would produce 1,510 and 2,021 respectively, a 12% uplift. A higher rate taxpayer retiring at 55 would receive 2,013 (2%) or 2,694 (4%) – a 50% uplift. Taking 25K pa from a SIPP is even more beneficial, producing a 16% uplift for a basic rate taxpayer and a 55% boost for a higher rate taxpayer. Given these returns, it seems obvious that the higher-rate taxpayer at least should focus on SIPPs as a retirement vehicle. It’s also worth comparing the two products to investment outside a tax shelter. It’s clear than investing outside of a tax shelter produces worse results across the board than investing in either a SIPP or an ISA. Alongside the Summer Budget of 2015, the government published a green paper consulting on further changes to tax relief. This very clear post is now out of date and, thanks to George Osborne’s walloping of investors in the summer 2015 UK budget, becoming incorrect. There are now two additional allowances in the tax code: £1k per year of interest and £5k per year of dividends. Dividend taxes are now higher above that limit. The lifetime limit for SIPPs has fallen to £1m but is now inflation linked. Moreover, Osborne is consulting on major changes to pension tax relief. It takes a credulous investor to believe SIPP tax breaks remain unchanged in 10+ years time. ISA tax breaks look more likely to stay however. Thanks for the comments. I’ve updated the post to reflect your points. SIPPs still beat ISAs for the time being, though I agree with you that the future looks very uncertain. 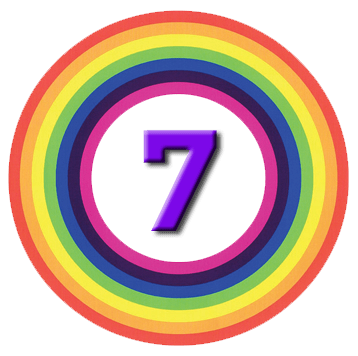 Previous story Do the math – how much is enough?